AUGUST 06, 2011 — The first five of Runnroo staged Tour de Cebu’s first weekend long run. 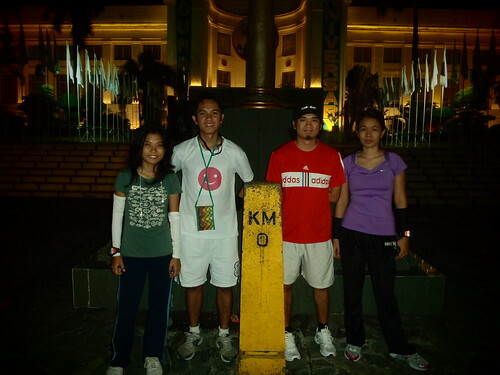 The run-tour started at KM 0 in Cebu Capitol, Cebu City and ended at KM 25 in Lagtang, City of Naga. 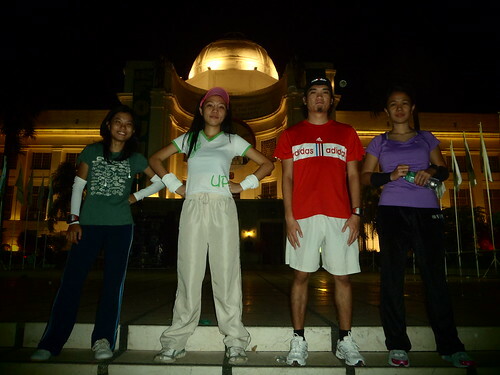 NOVEMBER 11, 2011 — Three Runnroo members, Jimbo Cortez, Rose Buenconsejo and Armie Garde, joined the 11-11-11 50K Habagat Ultra Trail. Garde was the 7th female to finish within the 10-hour cut off. A Runnroo made it to the Top 10. Other Runnroo members joined the support crew. NOVEMBER 19, 2011 — Joseph Rey Alquisola joined the 104KM Century Challenge. He unfortunately did not finish the race. He stopped at Kilometer 94. DECEMBER 18, 2011 — Runnroo joined the Runrio Run United Cebu Leg’s 21K, 10K, 5K and 3K categories.